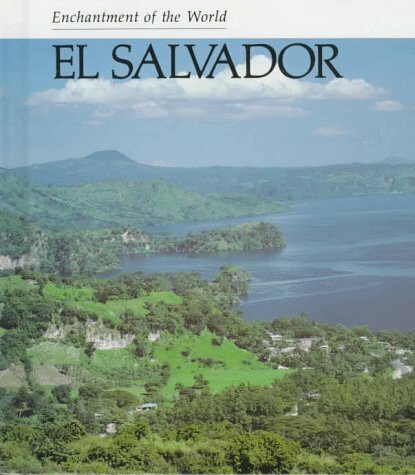 The title of the book doesn't match what's inside the book.Only a few pictures are included of this beautiful country.The book is a concise history of El Salvador; however, it is not a picture book.Very disappointing. 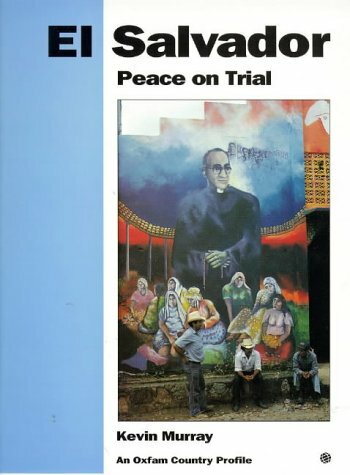 It's hard to find good books on El Salvador that aren't about the war, and believe me, I've looked! My husband is Salvadoran and I'm a Spanish teacher trying to show there's more to Central America than just Costa Rica. The two good children's books our library carries were written back when the war was still going on, and I've been looking for a newer book to recommend as a library acquisition. Now I have at least one entry for my list, and the paperback version is a bargain for any home library as well. The book has only 32 pages, so while it touches on many subjects, each only gets a two-page spread. Within these limitations, though, the book presents useful information in a narrative form and with minimal bias. The "struggle and civil war" section does a remarkably good job of giving background behind conflicts such as La Guerra de Fútbol ("the Soccer War"). The section on "Native Peoples" gives a good treatment of the assimilation of these groups, with a look at the Pipíl and Lenca peoples in the present day. The book's discussion of the post-peace agreement period is very general, and despite the 2002 copyright, no mention is made of the devastating earthquakes of January and February, 2001; I can only assume the book had already gone to press. Halfway through the book, the book changes from a general overview into a more vignette-style presentation of selected topics under the usual headings ("Music and Dance," etc.). The section on family traditions, for example, gives one or two paragraphs each to baptisms, birthdays, quinceañeras, folk beliefs and "curanderas" (folk healers). In these sections, the presentation is a bit haphazard, but still provides worthwhile material. 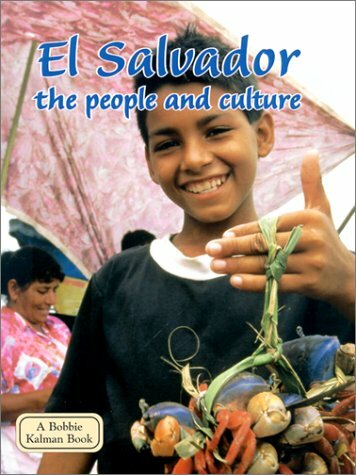 The arts and crafts section includes the role of cooperatives and political art; another topic, "The Flavors of El Salvador," brings food into a detailed and interesting depiction of daily life. The only part of the book I didn't care for is the ending, a fictional episode of a family visit; it tries a little too hard to tie in every kind of cultural topics via stilted and unnatural dialogue. The youngest readers probably won't mind, but upper elementary and middle schoolers would roll their eyes. The "Life in the Countryside" section is a treasure. The pictures show everyday life much as I saw it when I went to visit my in-laws in early 2002. Nearly every sentence has some detail that made me shout with recognition, such as the mention of using car batteries to power TVs and radios. Oddly, the book doesn't mention the solar collectors powering the batteries, an interesting topic for kids. Also, the book mentioned the scarcity of vehicles, indoor plumbing, and electricity, yet said nothing about phones. A country with so many expatriates is a country that cares a LOT about phones, and life has been profoundly affected by a boom in cell-phones in "el campo," where a phone call used to require an hourlong walk to town. El Salvador, the smallest Hispanic country in the Western Hemisphere, has had a lion's share of international attention due to civil war of the 1980s. 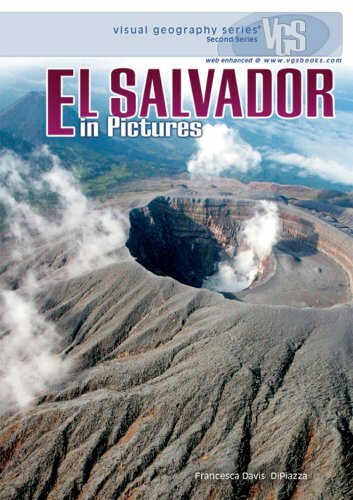 Culture and Customs of El Salvador is the best source for an authoritative, intriguing narrative overview of a country with an embattled history, from wars to devastating earthquakes. 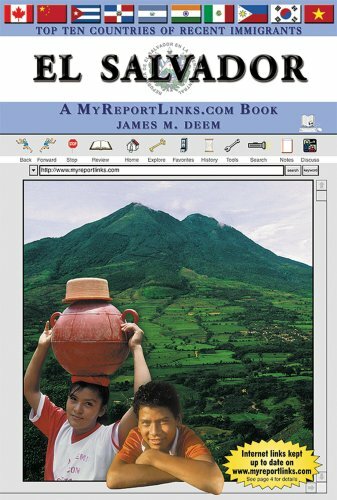 Students and general readers will find a sympathetic portrayal of the land, history, people, economy, religion, education, traditional culture and popular entertainment, literature, media, and the arts. 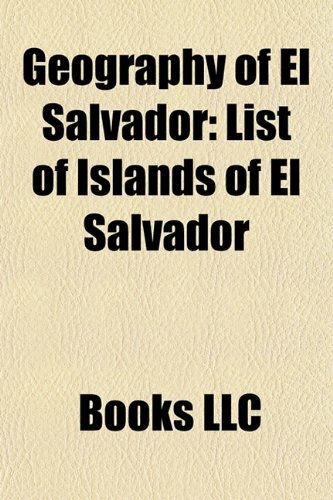 This volume is crucial to understanding Salvadorans today and also the large numbers of Salvadoran immigrants who now live in the United States. El Salvador has been marginalized in Latin America and is still little-known outside of this region. 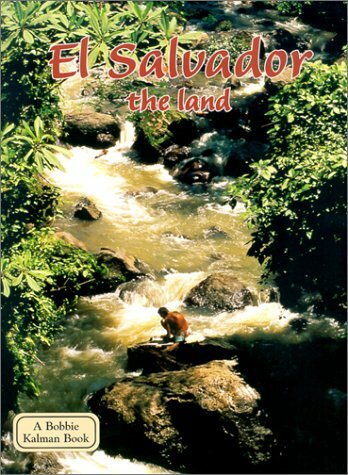 Culture and Customs of El Salvador emphasizes the mixture of indigenous and Spanish heritage that colors the society. Boland brings special insight to the essential topics, from history to the arts. A chronology, glossary, and numerous photos enhance the text. As an up-to-date survey, the book brims with optimism for a better future with social, economic, and environmental reforms. 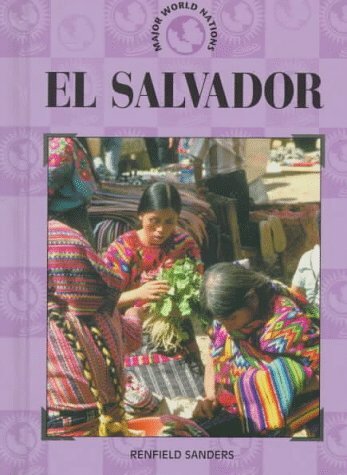 This volume is crucial to understanding Salvadorans today and also the large numbers of Salvadoran immigrants who now live in the United States. Written within hours of the catastrophe on Corpus Thursday in 1917, this narrative describes the events that unfolded after one of the most severe earthquakes in Salvadorean history. As this survivor recalls the atmosphere of fear that prevailed in the aftermath of the disaster he exposes his audacity as both a writer and a journalist. 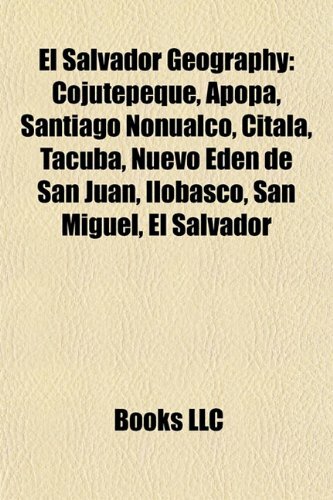 Escrito a pocas horas de diferencia de ocurrida la catástrofe, este cuento narra lo sucedido tras lo que fue él más fuerte de los terremotos ocurridos en la historia reciente de El Salvador, durante la noche del jueves de Corpus de 1917. Describiendo la atmósfera de miedo que existió tras los eventos descritos en este libro, éste sobreviviente deja expuesta su audacia como autor y periodista. 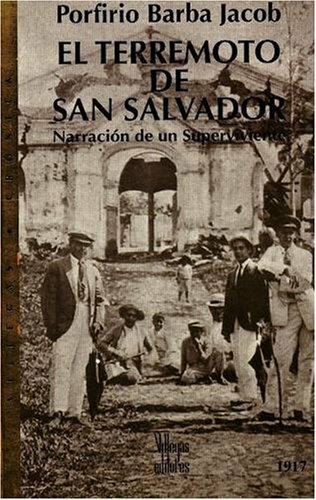 Interesante y curiosa crónica novelada del terremoto que en 1917 asoló la ciudad de San Salvador. La retórica modernista y la vanalidad del argumento serían insufribles sino fuera por el ritmo de la narración, la viveza de las descripciones y lo breve del conjunto. La edición está muy cuidada y las notas a pie de página dan un contrapunto excelente al texto original. The violence and economic devastation of the 1980-1992 civil war in El Salvador drove as many as one million Salvadorans to enter the United States, frequently without authorization. 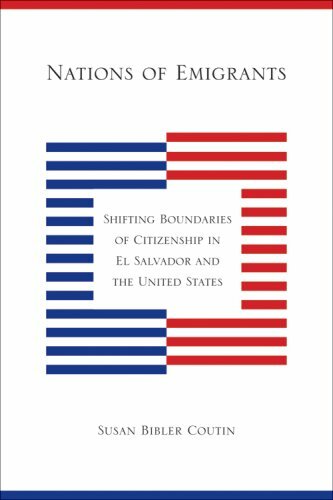 In Nations of Emigrants, the legal anthropologist Susan Bibler Coutin analyzes the case of emigration from El Salvador to the United States to consider how current forms of migration challenge conventional understandings of borders, citizenship, and migration itself. Interviews with policymakers and activists in El Salvador and the United States are juxtaposed with Salvadoran emigrants' accounts of their journeys to the United States, their lives in this country, and, in some cases, their removal to El Salvador. These interviews and accounts illustrate the dilemmas that migration creates for nation-states as well as the difficulties for individuals who must live simultaneously within and outside the legal systems of two countries. 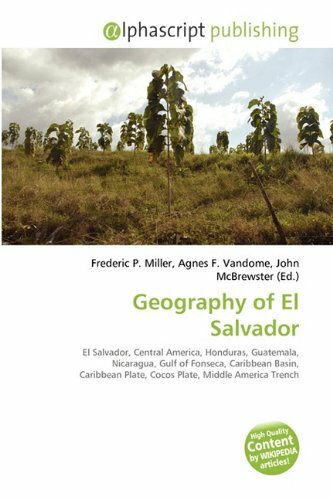 In this book, Susan Coutin calls both El Salvador and the USA nations of emigrants, and describes the policies, laws and boundaries that shift and move along with their moving and entangling populations. She focuses on the experiences of Salvadorians in the US and in El Salvador, and suggests that our definitions of terms such as nation, immigrant, and citizen set artificial lines in reality. These lines then lead people and nations to fight against what (or who) crosses the line. Coutin looks at government policies in both countries which have excluded Salvadoran emigrants, and at how Salvadorans have both belonged and not belonged to both countries as a result of their emigration (in the context of civil war). When we set up realities in absolute ways, she suggests, then when we recognize one reality, we exclude others. So the nations are formed by disruption, as "nation," "immigrant," and "citizen" become shimmering and multiple realities that imply exclusion of other realities. Our attempts to make social, legal, and political realities match (by deportation, immigration, naturalization) lead to other disjunctures. 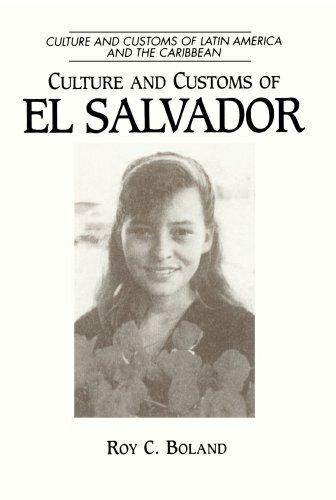 She structures her ethnography of Salvadorian emigrants to mirror these disjunctures. In the end, she recommends that for more aspects of person and nation to be fully present to each other, people need to be allowed to belong: there needs to be ways that emigrants' legal status can more fully match their social and physical presence.